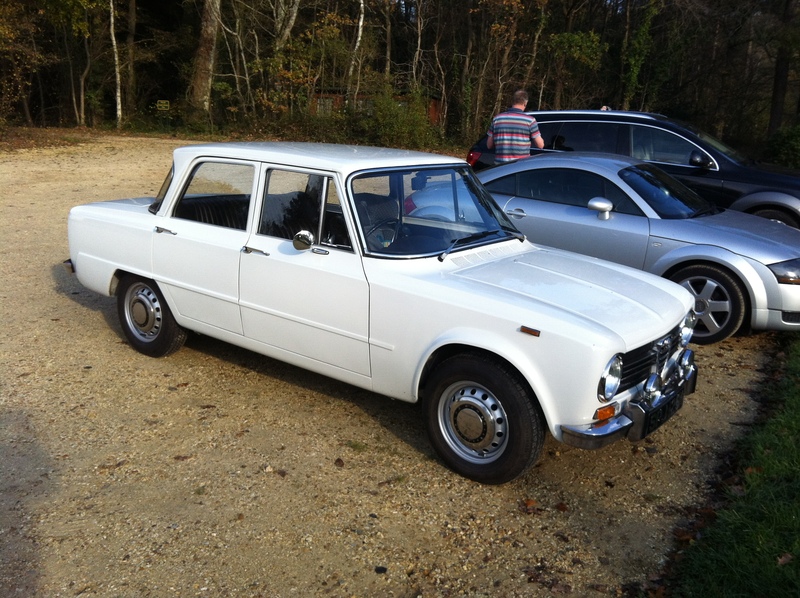 It’s inevitable that a visit to the National Motor Museum at Beaulieu will result in spotting a number of car-park rarities, but my eye was particularly caught by this beautiful Alfa Romeo Giulia. Looking to be in remarkable condition, this 1300 Super example appeared to be in regular use if the child seat on the passenger side was anything to go by. And if you’re thinking you’ve seen this particular style of Alfa before but can’t think where, keep an eye on the police cars in The Italian Job – the original (and best), naturally.